Radisson Hotel Galway – Sunday 16th October, Doors open 3pm. Kilkenny Ormonde Hotel – Friday 4th November, Doors open 7pm. Come and join us for a great girly night out of fashion, Hair & Make up demos, anti-aging and skincare advice, body shape styling, Lifestyle talk, shopping and much much more. 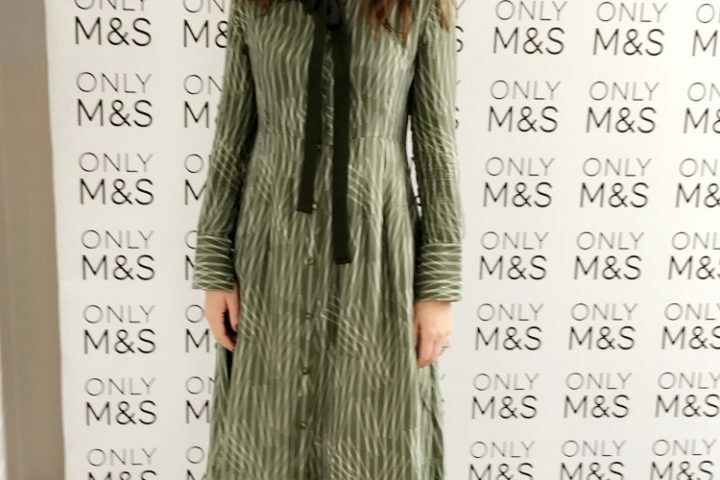 The evening/afternoon kicks off with a fashion show of independent boutiques, online shops and Irish Designers styled by me. Then the best in the hair & beauty business take to the stage to share their tips and tricks of the trade. The Hair demonstration is by TV Celebrity stylist and Ireland AM regular Tori Keane (who also happens to be my little sis). The Make Up demonstration is by another of Ireland’s Industry experts, make up artist Becky Keane (and you guessed it…another of my little sis). 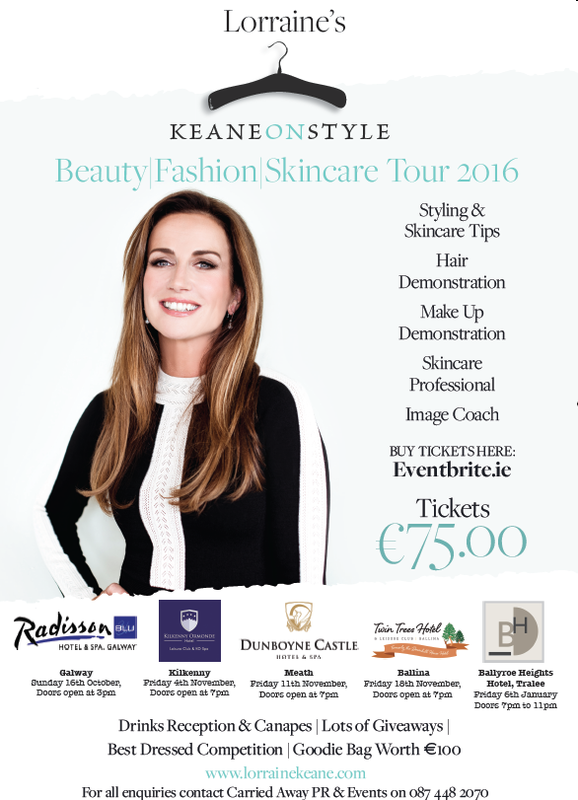 Yes Team Keane will be on hand to solve any hair or make up dilemmas you might have and give you lots of easy DIY tricks that you can do at home. Then leading skin expert Peggy Stringer will talk us through how to be ‘the best me I can be’ by looking after our skin and all the anti-ageing remedies on the market today. And nutritionist Sarah X from Cleanmarine, Ireland’s leading brand for natural health supplements will tell us how our diet helps us to feel and look better. All this and an opportunity to shop in our pop up shops, have a glass (or two) of bubbles or wine, yummy nibbles and a good girly catch up. Ticket price also includes a luxury goody bag with all of my favourite products. Thousands of euros worth of give aways on the night. It’s a night not to be missed!